There are more than 3.5 billion searches on Google every single day. Nowadays, a majority of them are made on mobile devices, often via the voice assistant. With this phenomenon, more and more people are using “near me” queries to find local businesses. This doesn’t only include queries like “restaurants near me” or “bookstores near me”, but will extend to queries like “where can I buy flowers near me”. For local businesses, optimizing your presence online to target these queries will bring significant impact to conversion rate—and thus, revenue—. These optimizations come in the form of local SEO, and in this guide, we will learn all of its ins and outs. 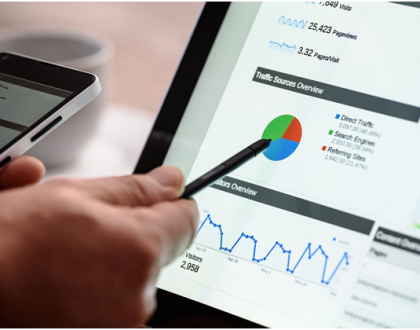 SEO, or Search Engine Optimization, is the efforts to optimize your site, as well as its external factors to rank higher on Google SERP for your target keywords. So, based on that definition, what is local SEO? Local SEO is SEO that is specifically tailored to target local-focused keywords—keywords that are searched by people when they are looking for local businesses—.Most of the time, these keywords are “business name” followed by “location” like “bookstores in Los Angeles”. Nowadays, many people use “near me” search queries, including when using voice searches when searching from mobile devices. Google now feature results from Google Maps on the very top of the search results page just below the paid ads. Google Maps’ results will require different optimization approaches. Since Google Maps’ results are very significant for local SEO, let us dig deeper on the concept. As we can see, there are clear differences compared to the standard results page. We can see the business hours of the featured businesses, review ratings, and photos. We should also notice that there are only three businesses featured on the results page before the searchers need to click “more places”. To be featured on this “3-pack”, you will need to list your business on Google MY Business. Google My business will play a very significant part in local SEO, so again, let us dig deeper. Google My Business was previously known as Google Local (and for a time, Google+ Local). Basically, Google My Business is an online directory where you can list your business profile. Registering for a Google My Business account is totally free, and you can click here to get started. You can then follow the steps instructed, and you are good to go. Also, you will need to verify your business listing. Usually, Google will send a postcard containing a PIN which you can use to verify your business address. Depending on your business types, you might be able to verify your business through an email or phone call. There’s also the matter of optimization. The more optimized your GMB listing is, the higher it will rank. We will discuss these important optimizations further below. First, let us learn about the factors affecting your Google Maps ranking. Your location. When there are two businesses with similar optimizations, same target keywords, and similar level in all other factors, the business that is located closer to the searcher will rank higher. Google My Business listing optimizations. 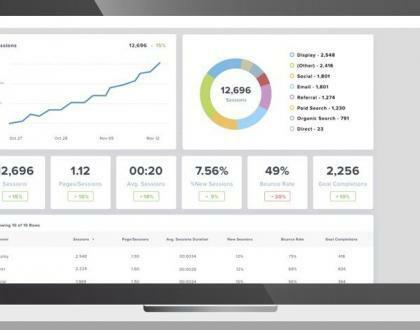 Many factors are included here from how complete and accurate your information is, photos and videos optimizations, keyword density, to optimizations on attributes and categories. Backlinks. The quantity of inbound links to your website (since your website URL is also listed in GMB, and therefore indexed by Google). The quality of the backlinks also matters. Number of positive reviews. Google will take account of the number of positive reviews you have both on your Google Maps listing and on third party sites (Yelp, TripAdvisor, other business directories depending on your niche). 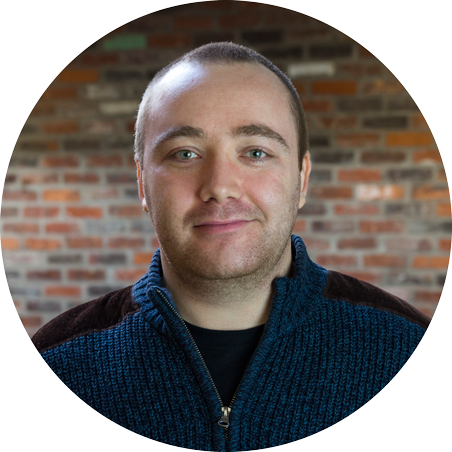 On-page optimizations both on your website and your GMB listing. This will include keyword density, NAP information consistency, mobile-responsiveness, page load speed, and so on. Local Citations. Citations are any mention of your business’s name,address and phone number (NAP) on the internet, which is mainly achieved by listing your business on various online directories. If you are already familiar with the concept of SEO, you might have realized that local citations have a similar principle to backlinks in regular SEO. There are generally two different types of local citations: structured and unstructured. Structured citations are citations that appear in business directories and listings. Usually, you will need to fill out a form to claim a listing on these platforms. To build structured local citations, you can start by claiming listings on major business directories like Yelp and Facebook Places. This list by Hubspot might be helpful in this process. What about unstructured citations? By definition, unstructured citations are any mention of your NAP information in social media, blog posts, or social media posts among others. In short, if it’s not on a business listing, it is unstructured. To get unstructured citations, you can use similar approaches to influencer outreach. Build relationships with press, authoritative blogs, and local social media influencers in your area, and ask them to mention your business (with the NAP information). While building local citations is not a difficult process—technical-wise—, it can require a tedious process especially since you will need to maintain consistency in information. Your NAP information should be consistent across all of your listings, as misinformation can significantly hurt your Google Maps ranking. On the other hand, local citations are really important in improving your ranking. This is likely the area where you’ll need the help of a local SEO services. When claiming your Google My Business listing, you will need to include your business’s website URL. Google will then use this information and crawl your site to determine whether it’s relevant and credible for your local audience. Including the name of your city, county, or region as keywords, where these names are mentioned naturally throughout your site with an optimal density. Depending on your target locations, this process might require creating specific pages for each individual location. Another popular tactic is to include local-focused content on your site. For example, including articles about local community events, local tourism spots, and so on. This step will also require the usual technical optimizations for SEO. For example, ensuring your site is mobile friendly, optimizing the internal linking structure, and improving the page’s load speed, among other optimizations. 2. 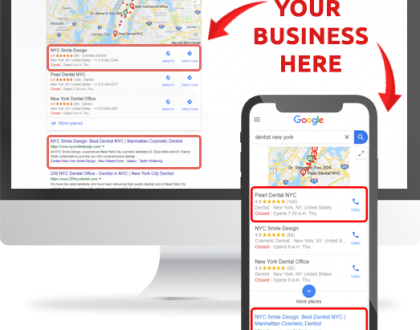 Claiming, verifying, and optimizing your Google My Business listing. Above, we have covered how you can claim and verify your Google My Business listing. Google will use the information you’ve put on this listing to determine your business’s relevance and credibility. We can’t stress enough how important your NAP information is in local SEO. Your NAP will be your business’s main identity on Google Maps, as well as on other third-party sites. Make sure your NAP is complete and accurate. If you’ve recently made any changes to your business’s address, for example, make sure to update this information. Remember that your GMB description should be about what your business is, and not what you sell. Include your target keywords here naturally, but make sure this content is comprehensive for human readers. Similar principle to descriptions above. Choose the relevant categories according to what your business is. You can choose more than one categories, so pay extra attention to choose all the possible categories you can, as long as they are relevant to your business. You can use attributes to highlight unique values of your business, for example, if your restaurant has an outdoor area, you can put this information as an attribute. Using well-taken photos and professionally-made videos won’t only help your listing’s relevance for ranking purposes, but can also boost conversions. According to Google, businesses that display photos on their Google My Business listings get 42% more request for directions and 35% more site visitations. You can also upload videos up to 30 seconds in length.Use this opportunity to attract more audience by posting engaging and informative videos. You can also use EXIF metadata to further optimize your images for easier indexing. It is very important to display accurate business hours at all times. Again, Google simply doesn’t like misinformation, and when you put wrong information, it can significantly hurt your ranking. Whenever you made any changes to you business hours, make sure to update your GMB listing. Also, people can suggest changes to your GMB profile, so check your dashboard regularly whether someone suggested any changes as Google can approve it without notifying you first. Google does offer the feature to customize business hours for holidays, weekends, and special events. Use this feature to your advantage. As mentioned, there are two main focus when building local citations: quantity and consistency. Citation building is a very important step not only in improving your Google Maps ranking, but also to help more customers in finding your business. The quantity of positive reviews both on Google Maps and (major) third-party sites is one of the most important ranking signals for Google Maps results. On the other hand, more and more people nowadays will check for online reviews before making any purchase decisions. This is especially true for local businesses. So, if you can get more positive reviews, it can significantly boost your conversions and thus, revenue. There are two main approaches in encouraging more positive reviews from your customers. First, is to offer incentives. This is a relatively common and effective strategy, you can offer discounts and even freebies for existing customers who are willing to leave reviews. Second, is to respond to your reviews, even the bad ones. This way, people who see that you responded (properly) to past reviews might want to voice their own concerns or even show appreciation through a positive review. Although not as prominent as in regular, organic SEO, backlinks are still very important in local SEO as a ranking factor. Build relationships with local press, local influencers, and authoritative sites. Sometimes, all it takes to get a backlink is simply asking for it. Content marketing. If you can produce relevant, valuable content, people will naturally link it. Guest posting. When done properly, guest posting can be a very powerful link building tactic. Remember, however, that the key is to build relationships and not solely focusing on getting backlinks. Utilizing influencers. If you can work with the right influencers, you can get relevant backlinks while they can also help in promoting your business. For local SEO, links from local press, local authoritative blogs, and business associations are the most valuable. Citations can also act as high-quality backlinks, so make sure to focus on both citation building and link building equally. The trends surrounding local search are really strong today, and are still growing strongly for the years to come. In fact, the internet will continue to be a more localized place, and Google will continue to focus its efforts for a better local experience. So, local SEO, in the near future, will no longer be a luxury, but a necessity for businesses that are trying to attract local audiences. If you haven’t already, there is never a better time to start investing in local SEO.